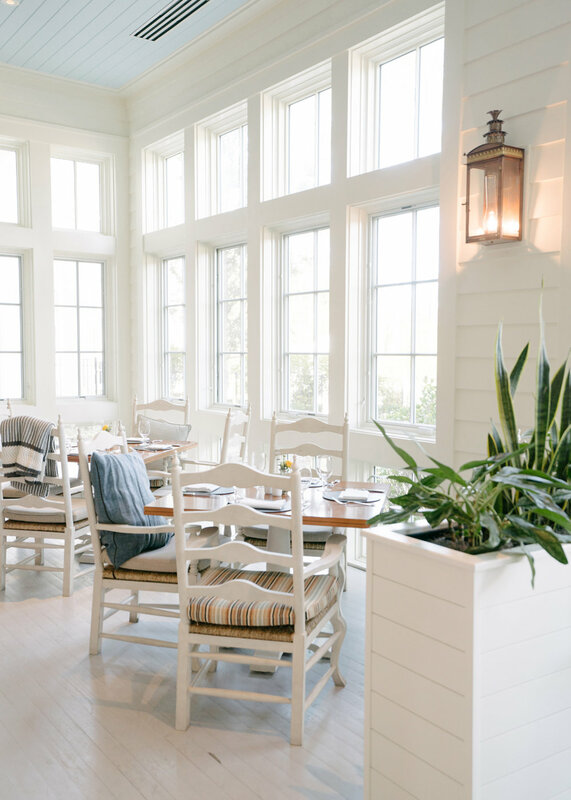 Two weeks ago, I had the pleasure of spending a weekend at Montage Palmetto Bluff in Bluffton, South Carolina. I had never been to South Carolina, and while my stay was brief, it was so memorable it already has me plotting a return. It’s safe to say, I love the low country. Perhaps a trip to Charleston next? As you drive to the hotel, you can’t help but notice how absolutely gorgeous the property is. 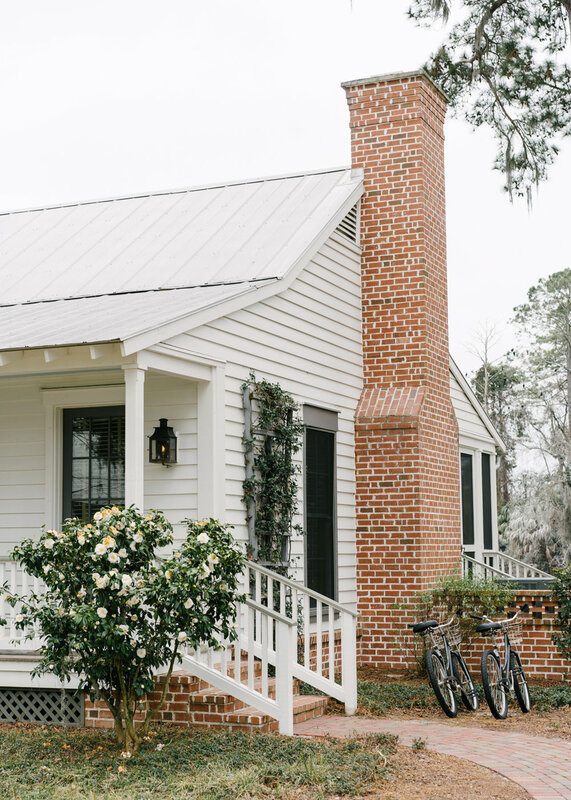 Everywhere you look there are ancient live oaks and the most charming homes with shutters, wrap around porches and rocking chairs. Everything was right out of my southern fantasy. My room in the hotel had what I can honestly say is the most comfortable bed i’ve ever slept in, a sitting area, a huge bathroom with everything you could ever need and a balcony; the perfect place to sip your morning coffee in the cozy bathrobe and slippers they provide. After I got situated, I grabbed one of the bikes reserved for hotel guests and decided to explore the property. It was a beautiful day, and while I was feeling under the weather, I wasn’t going to let that stop me. I biked to adorable guest cottages overlooking the May river and though endless tree lined streets dripping with Spanish moss. I saw blue herons wading in the marsh and alligators soaking up the sun (I was told if you don’t bother them, they won’t bother you). I got back to the hotel and warmed up with a cup of hot cocoa by the fire. I couldn’t believe quite how vast the property was; 20,000 acres to be exact. Half of which is the Palmetto Bluff Conservancy and will never be developed. I love knowing how dedicated they are to not only preserving the surrounding land, but conserving it for all the little creatures that are lucky enough to call it home. 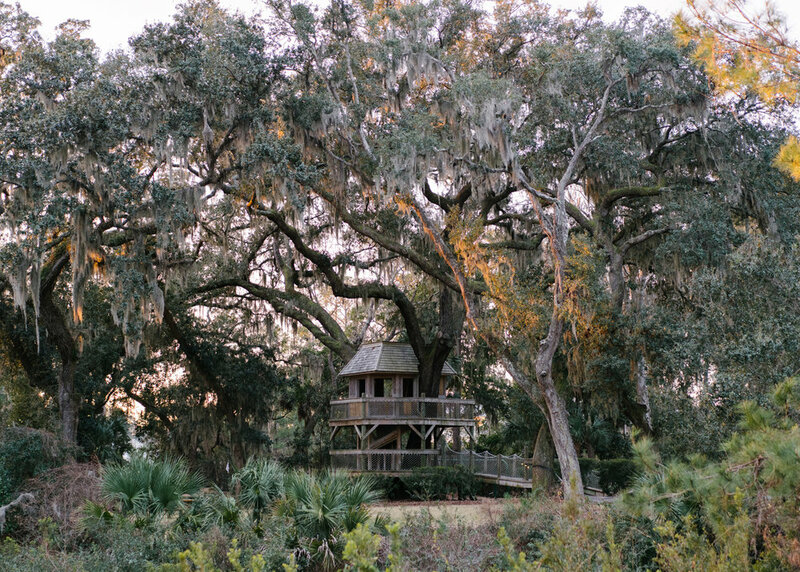 Winters are mild in the low country, and while it might be a bit too cold to use one of the many pools on the property, there is an endless amount of things to do during the colder months. We went bowling, played bocci, shot clays at the shooting club, had s’mores by the fire pit, went on a conservancy tour, had a hydrating facial at the spa and some of us went horseback riding (it sadly rained during my scheduled ride). There are also lots of restaurants on the property, depending on your mood; and a general store, if you just want groceries. 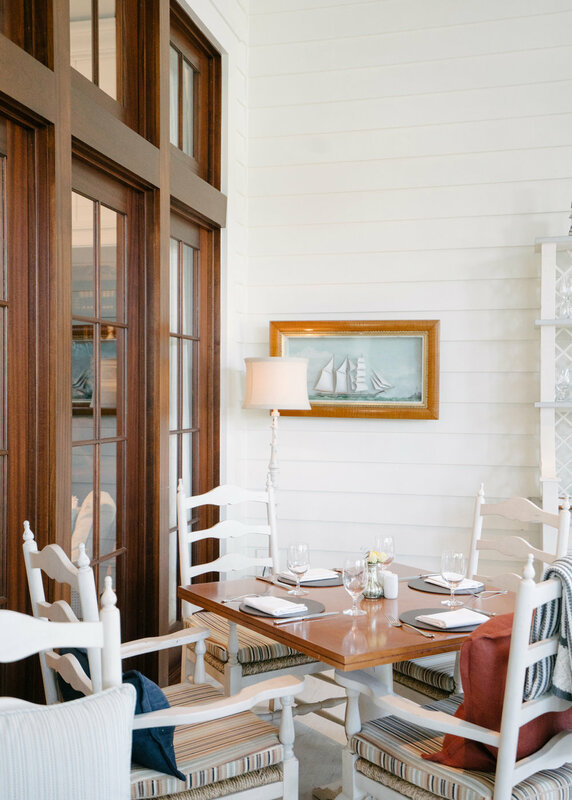 Ultimately you don’t ever need to leave Palmetto Bluff, but we did venture out one evening to explore the historic town of Bluffton and eat at FARM. Honestly I have not stopped thinking about that meal ever since. It was one of the best i’ve had in quite some time and the cocktails are a must. Before I knew it, the weekend was over. I truly had such an amazing time. 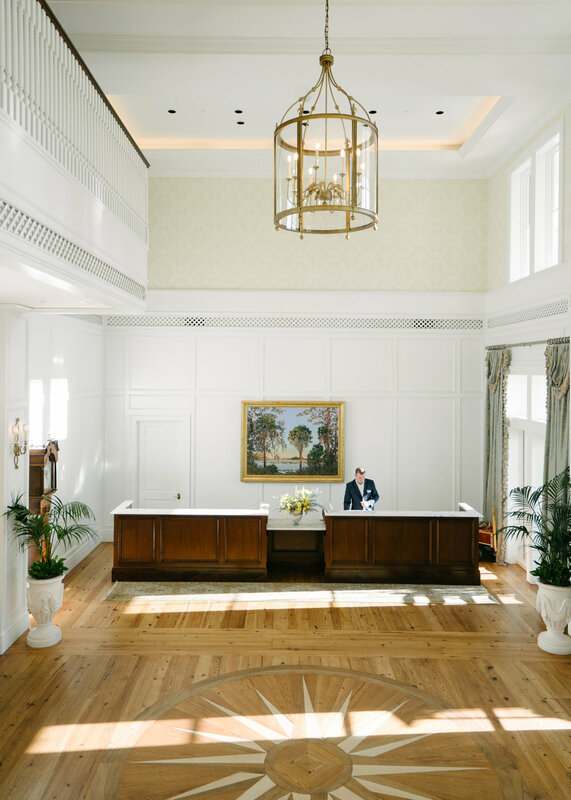 Everyone who works at Montage Palmetto Bluff really takes that southern hospitality thing to the next level. If you’d like to check it out for yourself use this link with code JWEBSTER to get a complimentary third night, now through February. When I was asked if I was interested in sailing the Java Sea for 10 days with Seabourn Cruises, I jumped at the chance. I had never been to Asia and it seemed like the perfect opportunity to change that. While I've traveled quite a lot on my own in the US, it's really only in the past year that i've become more comfortable doing it overseas. A cruise seemed like a good way for me to get a taste of Indonesia, while still having the comfort of a consistent place to call home. After 24 hrs of travel I arrived in Bali, was picked up from the airport and driven to our ship, The Encore. The first thing I noticed when boarding was how beautifully designed the ship was. It was very sophisticated and modern, which appealed to my eye. Not only was the ship gorgeous, but the service from start to finish was beyond any place I'd ever stayed. The staff was incredible, seriously I can't say enough about them. They all went above and beyond for every guest and that is the kind of thing that stays with you. Special shout out to my stewardess Janet who brought me a fresh fruit plate every afternoon and spent 3 days trying to track down the perfect dry white wine for me, so I could have it in my room. Speaking of my room, I stayed in the Veranda Suite, which had a king size bed, a gorgeous marble bathroom with separate shower and tub (which I love), a walk in closet, a seating area and my favorite part, my own balcony. I can't tell you how much I loved that balcony; I had breakfast out there most mornings and in the afternoons I'd go out there to sip wine, listen to an audiobook and stare out into the ocean. It was the perfect place to unwind, be alone with my thoughts and stay out of that hot Indonesian sun. 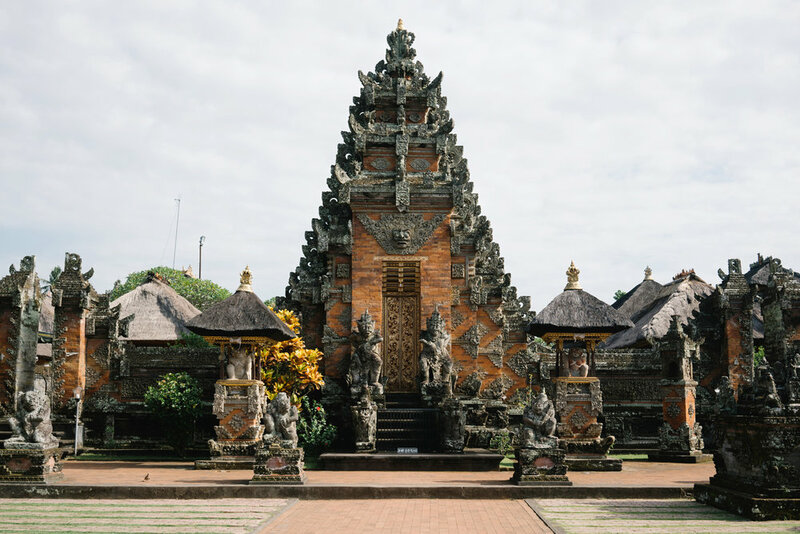 When I first arrived on the ship I was told that the original itinerary had changed due to a Hindu holiday and that we would no longer be stopping in Celukan Bawang, which is in north Bali. I was extremely disappointed to find out this information because most of the places I was excited to see were in Bali. That meant that I only had the next morning to explore as much as possible since we were departing at noon. Because of my bad jet lag I had no problem waking up early, so I got off the ship at 6:30am, found a driver and told him to take me to the rice terraces which are 1.5 hrs away. When we got there I was completely in awe. They were absolutely worth the drive. After a walk through the rice paddies, the driver showed me as much of the island as he could given our time restraints. He took me to a local market, a Hindu temple and a batik shop before heading back to the ship. It was so hard to leave after getting the tiniest taste. From what I experienced, the Balinese are extremely kind and happy people. I really hope to make it back some day. 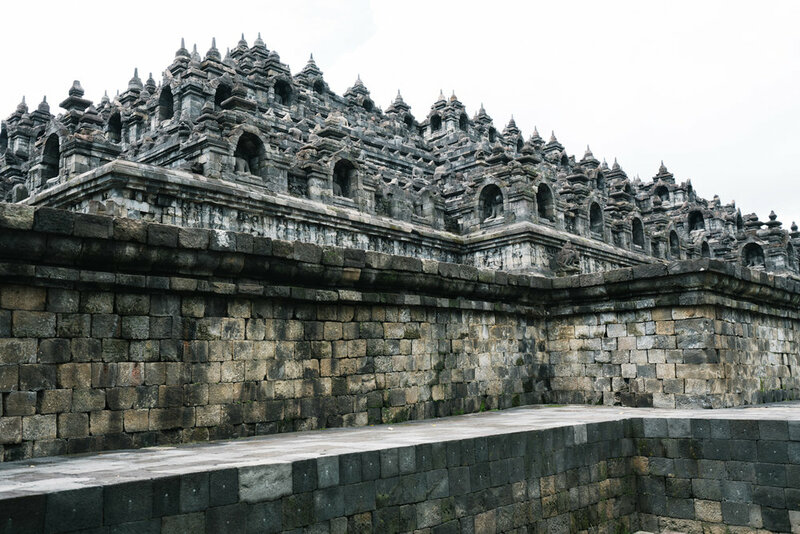 If you are looking to book this cruise I would suggest getting to Bali a few days earlier so you have time to see the Island and adjust to the time difference before the ship departs. Our next stop ended up being my favorite of all, Komodo Island. On this trip I got to choose 2 offshore excursions hosted by Seabourn. 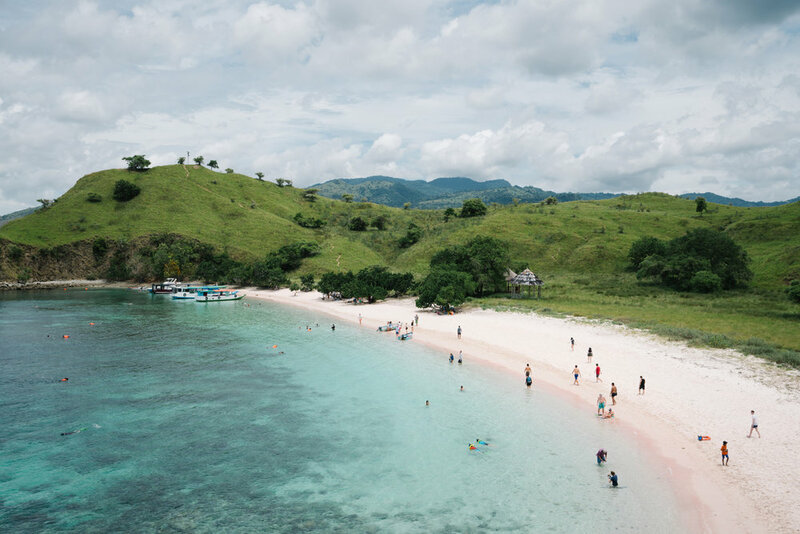 I chose the pink beach on Komodo Island and Borobodour Temple in Java. I found out that because of the strict rules on visitors to Komodo, you could only go ashore if you payed for one of the three offshore excursions offered; otherwise you would have to stay back on the ship. While the view from the ship of Komodo and the surrounding islands was spectacular, I was so glad I got to go ashore. Pink beach was heaven; the pale pink sand juxtaposing the turquoise water and the green grass in a shade unlike anything I'd ever seen. There were snorkels and refreshments provided, but I spent my time walking the beach and hiking up a cliff to get the best view. I didn't see any Komodo Dragons (that was offered on a separate excursion), but I still kept my eye out just incase. 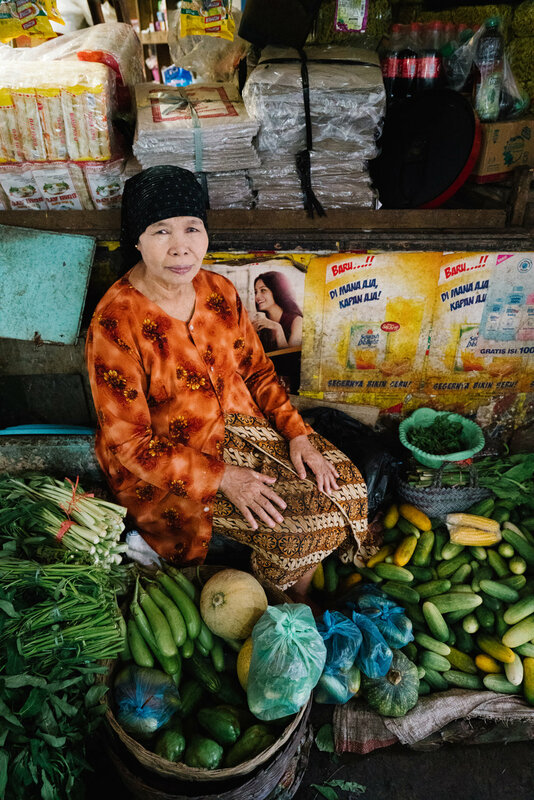 Once we made it to Java, I realized just how different each Indonesian island is. Java is quite conservative compared to Bali. They are not used to tourists in the same way the Balinese are, so when we got there I made sure to dress modestly as not to offend anyone. I still managed to have a few unfortunate and negative experiences as a woman traveling alone. 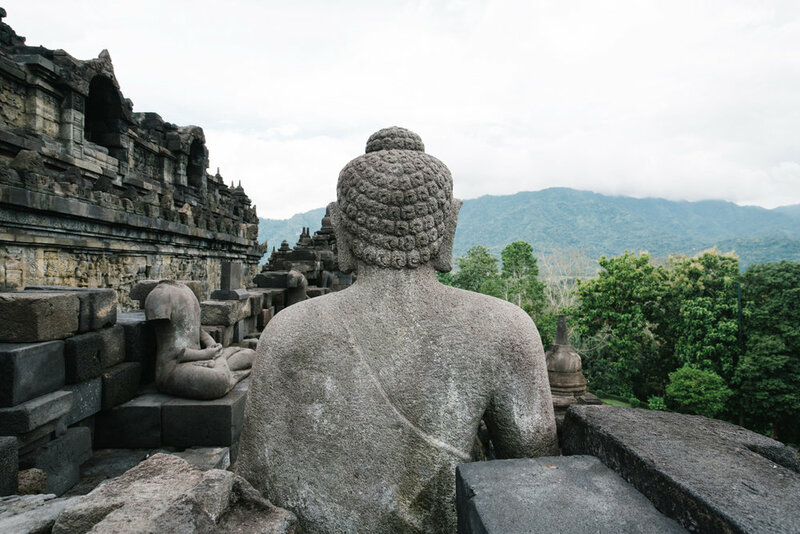 Perhaps it differs depending on which city or town you visit; Java is enormous. For the most part I found the people of Java to be loving and joyous. I tried not to let a few negative experiences taint my view of the people or the place, but I can't say I suggest traveling there alone as a women. On another note, my excursion to Borobodour Temple (which was with a group), was one of the more memorable and meaningful experiences I had. Borobodour is the largest Buddhist temple in the world. It is really a sight to behold; the sheer size, the intricate carvings, the wild jungle that surrounds it. If you ever find yourself in Java, I highly recommend a visit. The drive there is beautiful too. 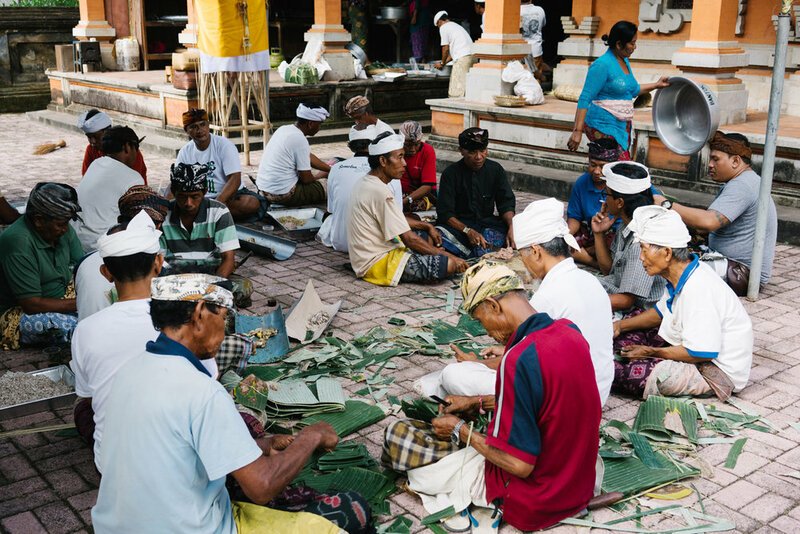 It's 2.5 hours from Semarang and takes you through rice paddies and colorful little villages. 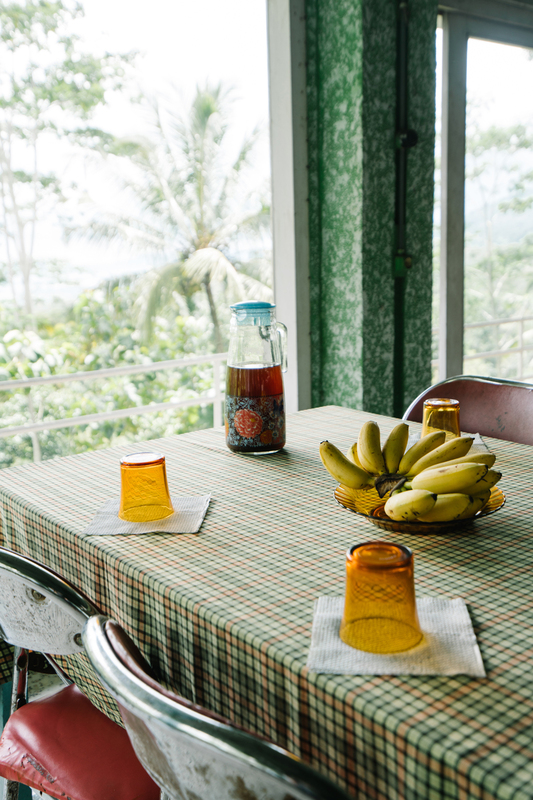 Because the drive is a bit long, our ship's tour buses made sure to stop for snacks and a quick break at a coffee shop along the way and then batik and souvenir shopping on the way home. On sea days you are never searching for things to do. You could easily stay on board the entire cruise and never leave. There are multiple lectures daily, dance parties, movies or shows every night. The ship has two pools, four whirlpools, a casino, a spa, a gym and a trivia game every other day. I spent my time lounging by the pool, getting a massage at the spa and I even took a guided meditation class. The food on board was also fabulous. Not at all what you'd expect on a cruise, not that I knew what to expect. My favorite restaurant was the sushi restaurant. It was so good, I ate there at least 4 times during my stay. Thomas Keller also has a restaurant on board. Yes that Thomas Keller. Just make sure to make a reservation when you arrive, as it's reservation only and books up quickly. The other restaurants you can just walk in. I got very spoiled with all the choices daily. One of the things I noticed and loved was that in the morning they had breakfast for practically every country and culture present. There was everything from eggs, beans on toast to congee and muesli. Truly something for everyone. A lot of you asked if there were any people my age on board. The short answer is, no not many, but I didn't mind. Actually I loved it. Everyone on board was friendly, well traveled and had fabulous stories to tell. For once I wasn't self conscious of my bikini body (or lack there of) and everyone said good morning or hello to you when you passed; something I feel like my generation has lost. For the most part we tend to keep to our phones and so rarely make in person connections with strangers. On this trip I talked to so many people over the 10 days, I never felt lonely. Seabourn also does a really smart thing where if you're traveling alone they invite you each night to sit at a different table hosted by various people on board. I met so many great people that way and made some real connections. When we made it to Singapore I had a really hard time leaving. I had gotten so used to a slower pace of life and waking up in a new and beautiful place each day. 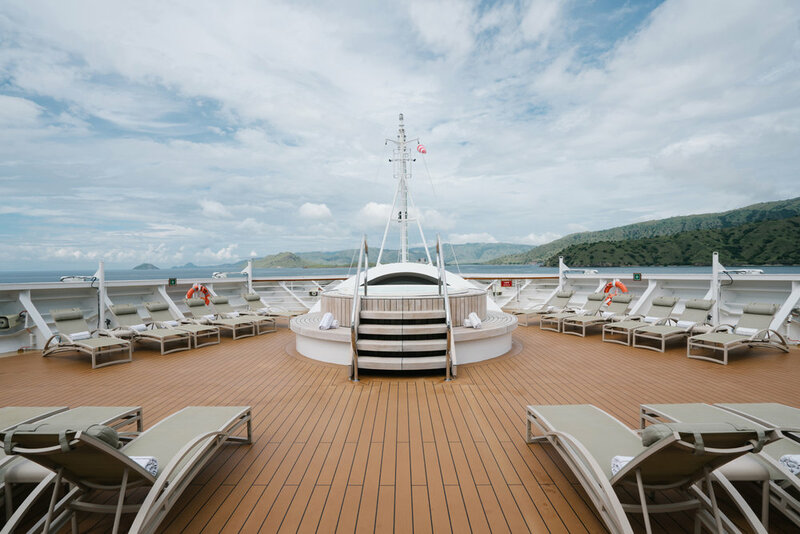 After making friends with many avid cruise travelers, they all said the same thing as to why they love Seabourn. They love it for it's intimate size (Encore only has 600 guests), the level of service and of course...the food. Now I can see why. PS. EVERYONE I talked to said the Seabourn Antarctica cruise is one of the most incredible and memorable travel experiences of their lives. Antarctica is a place I've never considered, but now it's on my list! If you know me, you know that tequila is my alcohol of choice, and the margarita is my all time favorite cocktail. I like to mix up the ingredients to keep it interesting, so when Patrón asked me to be part of their #MargaritaOfTheYear contest I said without a doubt, YES! I was lucky enough to attend the Margarita Of The Year party in NYC a few weeks ago, where I got to taste all seven and vote on my favorite. One that took me by surprise was the Tiki Rita. I never thought to combine tiki flavors with a margarita, but I'm telling you it's delicious. So delicious in fact, that after my shoot a few friends and I ended up drinking them all. night. long. 1. Combine ingredients in a cocktail shaker and shake with ice to chill. 2. Strain onto fresh crushed ice in a high ball (or tiki!) glass that has been rimmed with Hawaiian sea salt. 3. Garnish with fresh grated nutmeg, a lime wheel and fresh cloves. Make sure to head on over to the Patrón website to see the other 6 recipes, and vote on your favorite. You can also vote for the Tiki Rita on Twitter or Instagram using the hashtag #TikiRita. They ALL were amazing in my opinion, but the Tiki Rita, the High Plains & the Tropicante were my personal favorites. I'm excited to have new margarita recipe ideas just in time for Cinco de Mayo. This post is in partnership with Patrón. The perfect way to enjoy Patrón is responsibly. 3. Richard Swift // Would You? It has been far too long since I posted a mix so I thought I would change that. 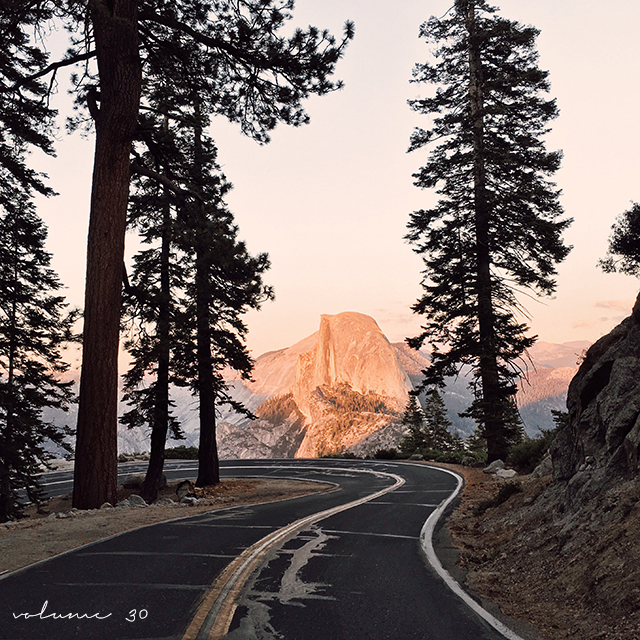 I just went on a solo road trip through the Eastern Sierras and this mix kept me company on those open roads. Enjoy! Yes that's right, here is the Ojai insiders guide you've been asking for. At least once a month I get an email from a friend or blog reader asking where to stay and what to do in Ojai. Their seems to be a new guide or article written about Ojai weekly and I can't say my guide is any different. It is however more extensive than most and written by someone who grew up there. Ojai has changed quite a bit since I was a child. Growing up it was a hippie town, where you knew practically everyones name and could leave your car door unlocked. A place that drew all sorts of creative and spiritual types. I guess none of that has changed exactly, but It got a little more conservative somewhere in there and now I think it is having a little bohemian resurgence. Young people are realizing what a wonderful oasis it is less than two hours from Los Angeles and therefor it's becoming, dare I say, hip. Not to get ahead of myself here. It still has a ways to go. Well known actors and musicians are moving here to get away from the city life and it seems to be "the" place to get married these days. I feel really lucky to have been raised in such a sweet town. I also feel lucky that my parents still call this place home and I get to spend holidays here and visit whenever I like. People ask me if I mind that it is getting more and more popular, but truthfully I am glad. With popularity comes cuter shops and better restaurants. Here are some of my favorites below. - there is no doubt this inn is the hippest spot in town. the rooms have that rustic/bohemian vibe. burn some palo santo, lounge by the pool or have a picnic on the lawn. you can even bring your dog. make sure to stop by their bar cheif's peak to have a beer and listen to vinyl. - looking for a more luxurious getaway, than this is your place. a sprawling resort known for it's spa, golf course and celebrity guests. they have three pools and six restaurants on the property. both couples and families alike flock here. a slightly older crowd. - this place could not be cuter. stay in one of eleven decked out airstreams and end your nights around the cozy fire pit getting to know the other guests. there are picnic tables, a shop for all your needs and yes there is wifi. borrow one of the many bikes they have available for guests and ride a short distance into town. - looking to have a more authentic Ojai experience? check out one of the many cute vacation rentals. - a peaceful boutique inn about a 10 min walk from town. perfect for couples or friends looking to relax. no kids allowed. some of the rooms have kitchens, wood burning stoves and clawfoot tubs. - this charming schoolhouse from 1874 was turned into a bed and breakfast with 8 guest rooms. it sits right in the center of town, walking distance to most restaurants and shops. - an organic grocery store and restaurant where you'll find me most days. on saturday and sunday from 8:30-11:30am they serve my favorite huevos rancheros and other yummy breakfast items. friday and saturday from 5:30-8:30pm they have a weekend farm cafe with yummy salads and wood fired pizzas. other daily favorites are the salad bar, the dairy free chai and their acai bowl. - a tapas restaurant great for lunch or dinner or to just grab a drink at the bar. one of my favorite spots in town. - my favorite place to go in the mornings for coffee , housemade pastries and baked goods. their seeded bagel with cream cheese and their breakfast sandwich are my go-to's. closed mon and tue. - go for a romantic italian meal and a bottle of wine. closed mon. - delicious and healthy. grab lunch and a date shake and sit on their shaded patio. - the perfect place for a quick and easy lunch. there is no seating, so I take my tacos to-go and eat them at beautiful libbey park across the street. - this homey italian restaurant is a staple in Ojai. It's the one and only restaurant on the east side of town. they're known for their delicious tomato salad and strawberry shortcake. - if you're looking for a classic american breakfast with a kitschy diner feel this is the place. closed wed.
- this gastropub on the east end of town has become a go-to for my family. they have a full bar and really good pot pies perfect for a chilly night. - right in the center of town. you'll see the locals here every morning (including my dad). - organic coffee in the meiner's oaks part of town. - grab a beer and see some live music at this classic Ojai spot that feels right out of a different era. on sundays a sea of bikers come from far and wide to have brunch here. - pick up a bottle of wine, beer or liquor from their large selection to drink back in your hotel room or order beer and bar snacks in their tap house. - a charming beer and wine bar located at the Ojai Rancho Inn. - an authentic dive, equipped with pool tables and karaoke. you may get starred down by the locals. - an Ojai institution. wander, sit and enjoy this outdoor bookstore where you can pay for a books on the honor system during closing hours. - owners bianca and channon have that effortless, bohemian style I so admire and their shop is no different. for a mixture of both new and vintage housewares and clothing for men and women, you must stop in. closed mon and tue. - I like to stop at this well curated shop to pick up a new cookbook, a gift for a friend or perhaps a jacket from ace and jig. make sure to buy an Ojai apolis jute bag before you walk to the farmer's market next door and load up on produce. - a lovely new addition to ojai, dekor & co is the sister store to dekor here in los angeles and one of the few shops you can find stylish furnishings and rugs as well as housewares. they also have a little tea room inside the store if you need a shopping break. closed tue. - nestled in an old gas station is this adorable shop and custom framer. whether it's a vintage blanket, local pottery or a campfire scented candle I have trouble leaving here empty handed. closed mon. - as you walk down the hallway/entrance to this tucked away little shop you will feel like you're in on a secret. They have an array of gifts for both the home and garden. 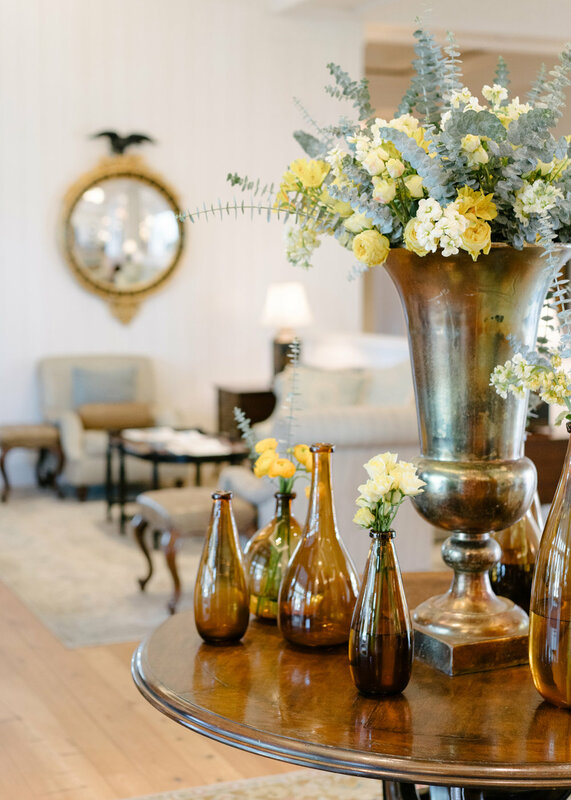 - stock up on beautiful home goods and table top decor at this new shop in town. you can even pack a picnic and eat on their patio under the oak trees. - come to this boutique for a nice selection of denim, cozy scarves and cashmere sweaters. - if you happen to be in Ojai between 9am-1pm on a sunday you must check out the farmer's market. since Ojai is surrounded by some of the best farm country in southern california it is one of the best (in my opinion). there is also a nice selection of hand carved bowls, baskets and artisanal goods made by locals. - after you go to the farmer's market walk next door and check out this art gallery inside a house built in the 1870's. each month they feature new and established contemporary artists, including many locals. - a stretch of 58 acres owned and maintained by the Ojai Valley land conservancy. walk around, take a hike. In the spring months it is covered with wild mustard flowers. quite a beautiful sight to behold. - I absolutely love autumn in Ojai. while it's still quite warm during the day, the leaves are changing and the fall produce overflows from roadside trees. around halloween I like to roam around the bocalli's pumpkin patch and corn field. I try to get my fall fix when I can. - the famous avant-garde artist and ceramicist beatrice wood lived most her life in her beloved Ojai, until her death at 105. you can go visit the center named in her honor, to see her work as well as rotating exhibits and workshops. - I grew up down the road from this magical place and spent many a sunset here, so it holds a very special place in my heart. It is perched on top of a mountain on the east end of Ojai Valley. go to meditate, roam the gardens or to watch the famed "pink moment." the views are simply breathtaking. just remember to whisper. - if you're looking to relax and be pampered while in town you must head here. get a luxurious massage or just a day pass to use the pool, steam room and jacuzzi. - a little chinese massage place right in the middle of town. get an hour foot massage for only $35. you will not be sorry. - hike to the sespe river and look for the hot springs (if they're open). - tour the olive orchards and go for an olive oil tasting. only open on wed or saturday. - on your drive into town stop to do a little wine tasting. - many of the local inns lend out bikes to their guests. ride into town or on the bike trail. This mix is long overdue, which is why it's my longest yet. These are all the songs that have been on repeat these last few months. Many of my favorite artists recently put out new albums and a few are new discoveries. I hope you enjoy! Last month I got to spend a weekend with Refinery29 for Secret Deodorant's Epic48, in my beautiful city Los Angeles. I road my bike to the farmer's market, picked up plants from my favorite plant store, had friends over for dinner in my backyard, went up to the Griffith Observatory and ended it all by watching the sunset at the beach. Of course we had a crazy heatwave that weekend with temps somewhere around 105. Not ideal or very fall-like, but we made the best of it. Thank you to all of our Snap Class! LA sponsors and vendors. We couldn't do it without you! This mix is the epitome of summer. It's light, it's dreamy, it makes me want to hop in the car and head to the beach. It's the perfect accompaniment to your Memorial Day plans, whatever they may be. Please enjoy! I have a new mix for you. This is a fun one. It makes me want to do some major car dancing. Had to throw in a few mellow songs as well to even it out. I hope you enjoy! 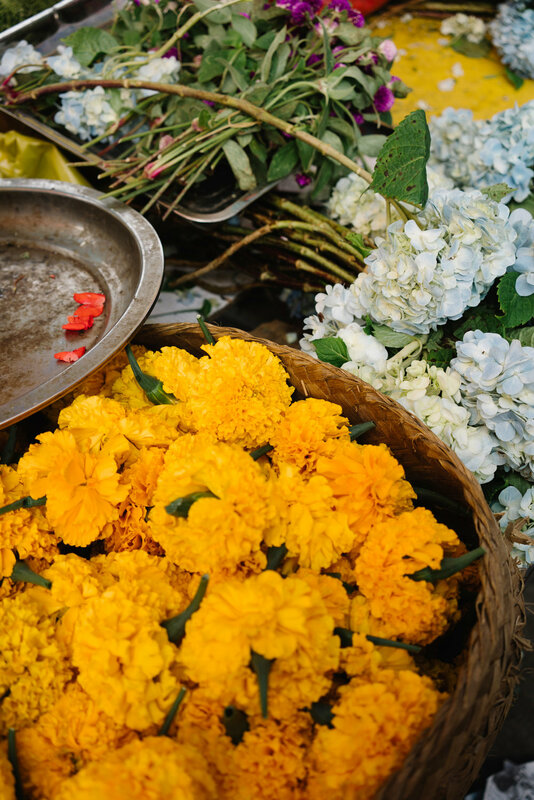 I am guest posting today for the lovely Jacquelyn of Lark & Linen while she's in Mexico. I am sharing some scenes and thoughts from my weekend. I hope you'll check it out. Wow, two blog posts in one week! Unbelievable, I know. Anyway, here is a mix for ya. It's all new music I've been listening to these last few months. Some really good stuff in here guys. Enjoy! Just a few pretty things I've been eyeing. Craving simple, modern silhouettes this spring and clearly a lot of black. San Francisco was such a fun and welcoming city to have our first out of town Snap Class! In the morning we had the most delicious pastries from Craftsman & Wolves. Today we are announcing our second Los Angeles Snap Class! on April 12th. Go sign up, before it sells out! Tags Photography, San Francisco, snap class! If you've listened to my mixes, you know I am a big fan of indie rock and indie electro, but deep down my favorite music tends to have a folky sound. It's the kind of music you sing around the campfire, it's the kind of music that is part of our history and makes us feel connected. I put together a mix of some of my favorite modern folk(y) music for you. It's a long one, I hope you enjoy! Snap Class! Los Angeles was such an amazing day and experience. Kim and I had only taught mini workshops in the past, so teaching a full day was a slightly terrifying, yet exciting challenge. I can't get over how creative, fun an eager to learn each and every one of our students were. You all made our hard work and months of planning worth it. I can hardly believe Snap Class! San Francisco is less than two weeks away. If you'd like to join us, we still have a few spots left! Tags Photography, Snapshots, snap class! To celebrate the New Year and Snap Class! Kim and I are giving away 1 spot to our LA Snap Class! on January 11th to one lucky Sweet Thing reader. We will be teaching all kinds of photography techniques and post processing tricks. All you have to do is sign up below. You can even get extra entires for tweeting about it and following us on all of our social media channels. A winner will be chosen at random and announced here on Sweet Thing on January 8th 10am PST. For more info on Snap Class! check out our website here. THE WINNER IS RYANN MOORE! CONGRATS RYANN!! Tags Instagram, Photography, giveaway, iphone, snap class! These were also taken over Thanksgiving weekend in Ojai. I clearly have a fascination with fruit trees. Fall colors are so captivating.